Rega, designed and built in Southend-on-Sea, UK, have been making high-performance audio equipment for over 30 years with the current design team led by founder, Roy Gandy. Following on from the unprecedented success of the Rega Apollo-R CD player and Brio-R Amplifier, the replacement for the iconic Saturn CD player has a lot to live up to. After much development and testing, the brand new Rega Saturn R has surpassed all expectations and delivered a truly stunning CD player worthy of the Rega brand. The Saturn-R is the result of many years of innovation, advanced software development and elegant engineering solutions by Rega’s highly skilled team of engineers and designers. It took the completion of two of the company’s multi award-winning products, the flagship Isis CD player and the Rega DAC, to pave the way for a unique product that Rega feels encapsulates everything the new Saturn-R should be. The Saturn-R uses a high-stability master clock and high-capacity power supply in the CD circuitry, high performance PLL digital interface receiver, isolated digital inputs and high-performance power supply architecture in the DAC circuitry. Signal switching between the CD and DAC functions are performed in the digital to analogue converter stage. The signal path of the CD section in CD mode is kept to a minimum. The Saturn-R features a new Wolfson WM8742 DAC as well as enhanced digital power supplies and redeveloped analogue and digital outputs. The Saturn-R is also supplied with the new Solaris remote with CD, DAC and amplifier functionality. The Rega Apollo-R is the brand new, upgraded version of the iconic Rega Apollo CD player which sold more than 20,000 units worldwide. With big shoes to fill, the Apollo-R is a complete re-innovation of the classic CD player. Re-housed in Rega’s latest custom aluminium case to match the new styling of the Brio amplifier, the Apollo utilises Rega’s own custom chipset and software offering a truly unique level of performance. The Apollo-R still features the same top loading design of the original Apollo, but incorporates a new internal Wolfson WM8742 DAC together with enhanced output amplifier circuitry and digital power supplies. The Apollo-R has been designed primarily to be used with Rega’s shoebox sized integrated amplifier, the Brio-R, but is an upgrade to any system. 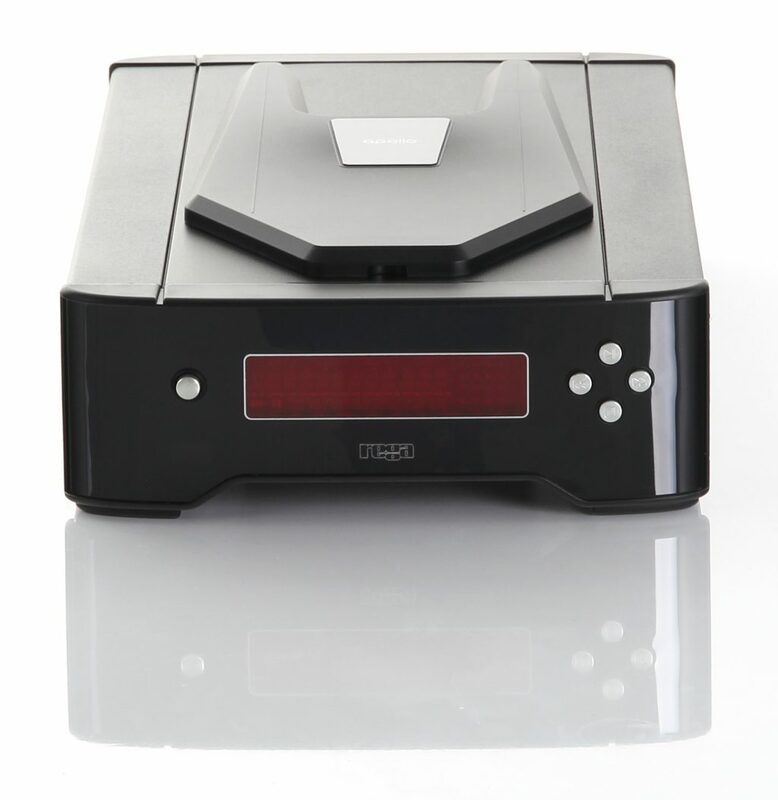 The Apollo-R CD player stands alongside products costing more than double its price, showing that Rega are able to produce truly world-beating products at affordable prices.